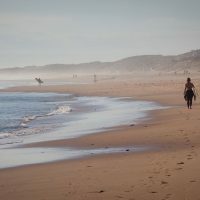 A truly unique experience! 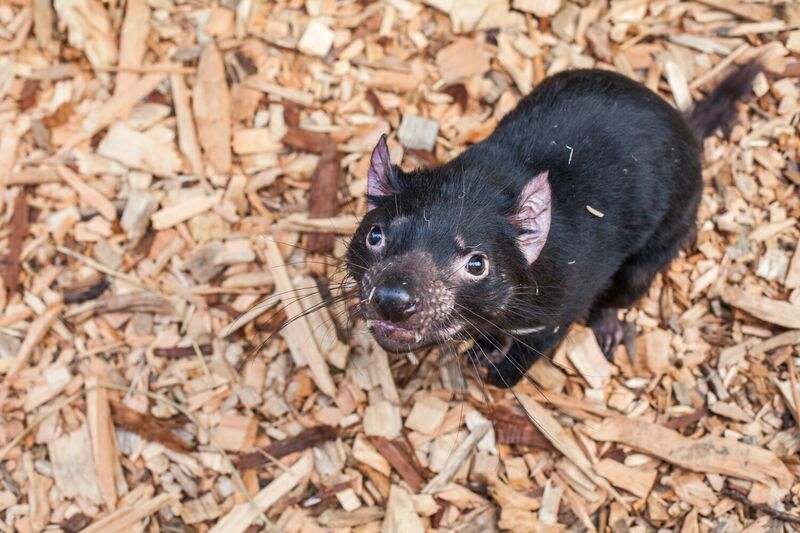 An adventure beyond compare. Encounter Australia’s wildlife at Moonlit Sanctuary, where you can hand-feed cute wallabies on the Wallaby Walk (small fee applies). 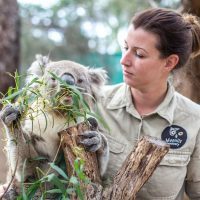 See wombats, koalas, kangaroos, dingoes and more! 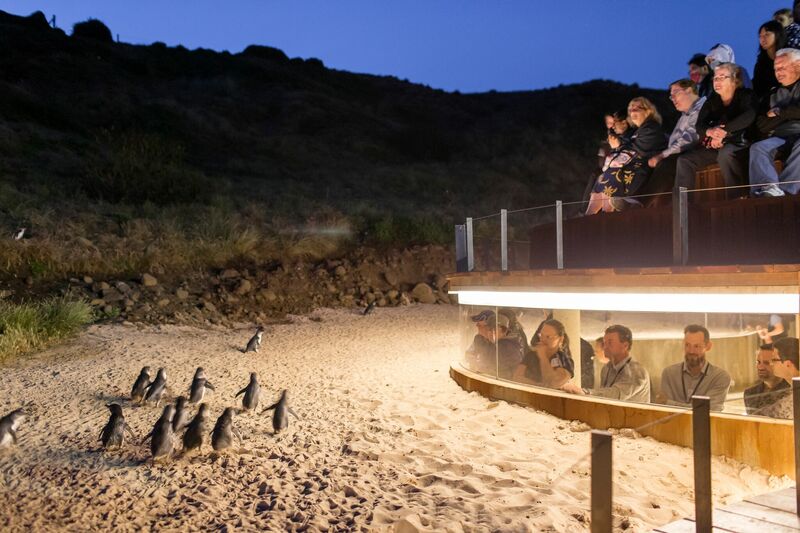 Experience the world-famous Penguin Parade at dusk! 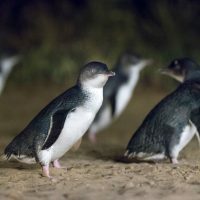 Witness hundreds of little Penguins cross Summerland Beach on their way home for the night. 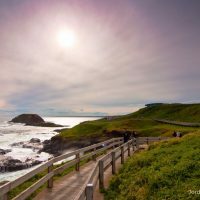 A must-see experience! 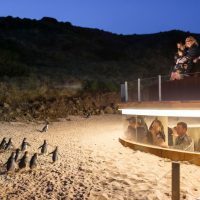 The Penguin Parade and Wildlife afternoon tour visits Moonlit Sanctuary Wildlife Conservation Park. 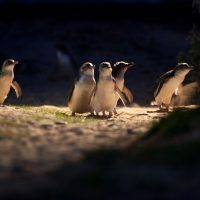 See animals in their natural habitat. 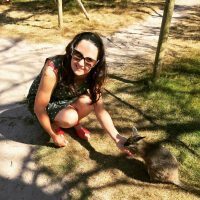 Hand feed kangaroos and wallabies and learn about the conservation work of this important sanctuary. 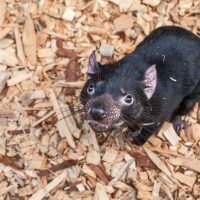 This Eco-certified sanctuary showcases the famous and endangered faces of Australian wildlife, including southern bettong, eastern quolls and rare fluffy gliders. 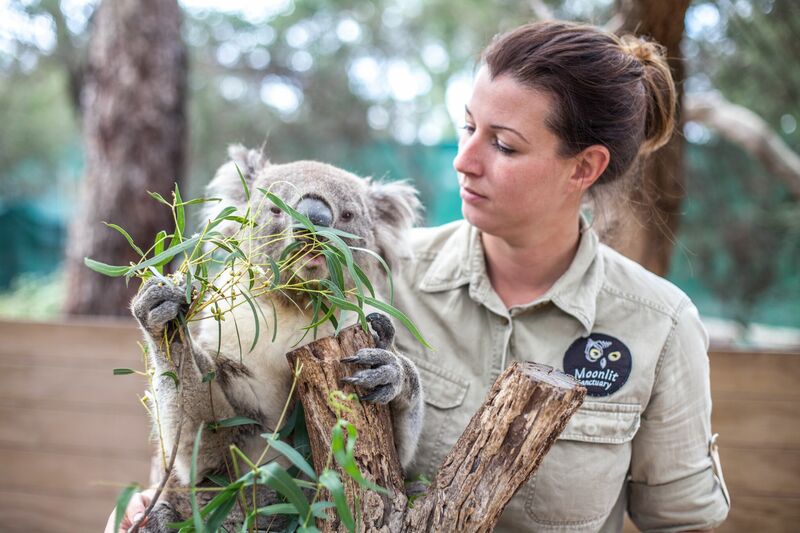 Get close to these beautiful animals with the opportunity to hand feed them, watch and be captivated like never before! 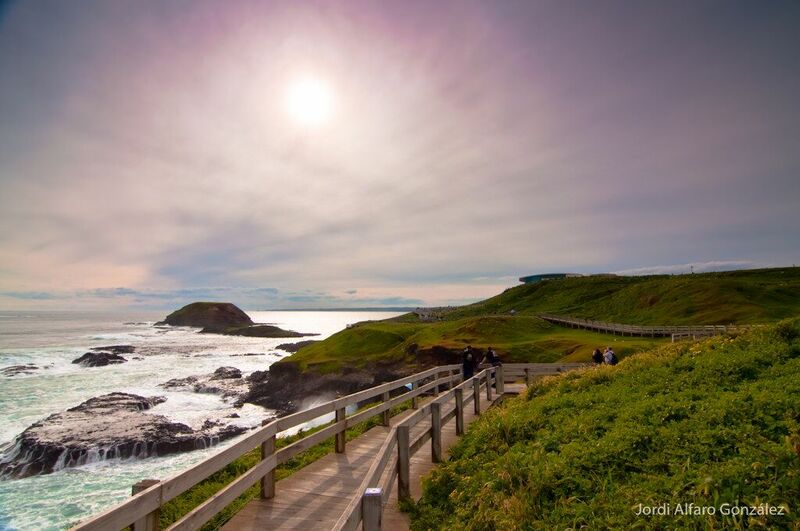 From here we travel to Phillip Island to The Nobbies and take a stroll along the boardwalk and enjoy the spectacular views along Phillip Island’s rugged south coast. 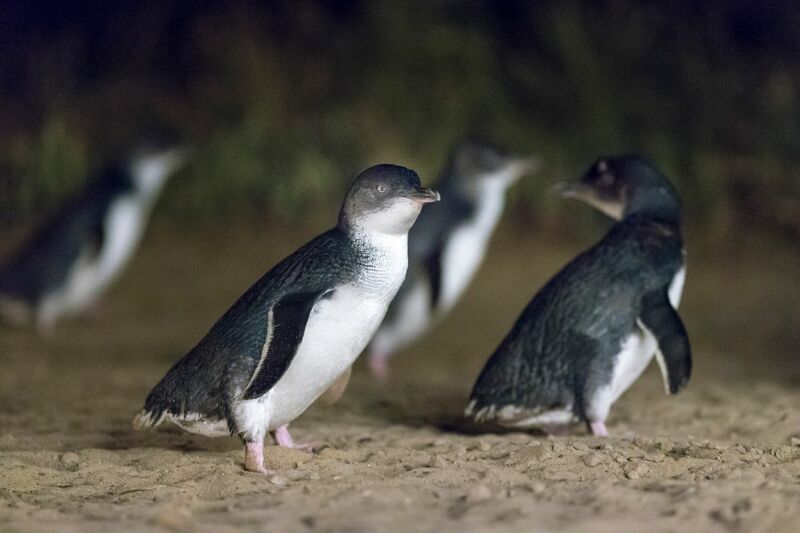 Next stop is Summerland Beach, home to Victoria’s largest colony of little penguins for the nightly Penguin Parade. 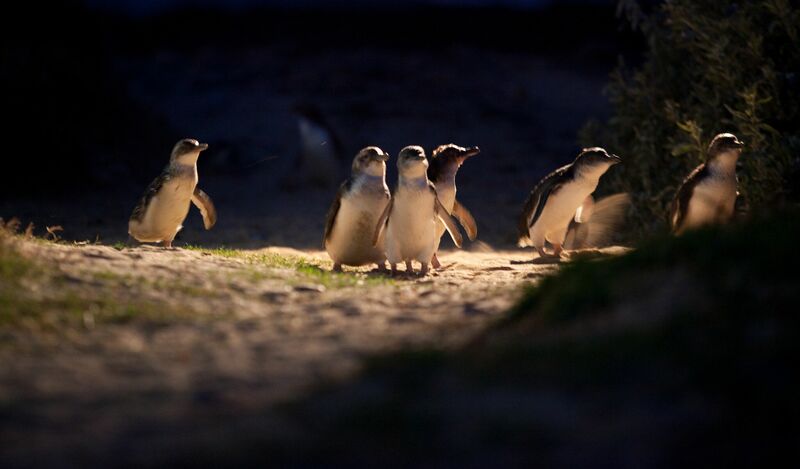 Watch as hundreds of little penguins make their way across the beach and return to their sand dune burrows.